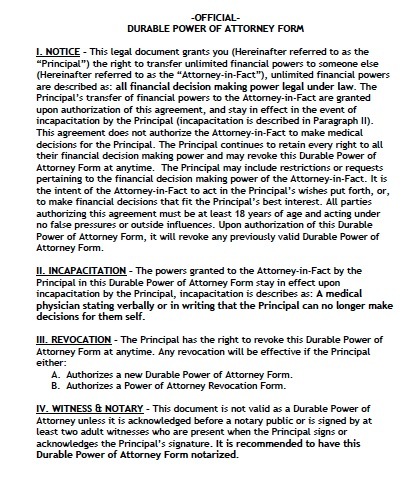 A financial power of attorney can be useful in a number of circumstances. You may want to go on an extended vacation, or you may suffer an injury or illness that prevents you from overseeing your business for weeks. This document lets you empower an agent to withdraw money from your accounts, pay your bills, enter into contracts on your behalf, and manage much of your property and assets. You should think carefully about limiting the agent’s abilities. If you only need your bills to be paid during a predetermined period, for example, you should only grant the agent the rights to perform actions necessary to pay your bills. Oregon law allows you to dictate that the document will only go into effect upon a certain date or specific event, such as mental incapacitation.